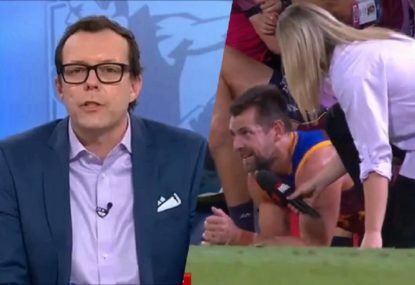 If the rule of thumb is that AFLW teams need to improve by twenty percent each year just to hold steady with the competition, then it’s hard to make a case that Brisbane could reach a third Grand Final in a row. Brisbane lost a lot of players in the expansion — defenders Nicole Hildebrand and Tahlia Randall, and midfielders Jamie Stanton, Brit Gibson and Kaitlyn Ashmore. Worse yet, teenage gun Sophie Conway will miss the season with a knee injury. And while the vaunted Queensland junior talent pool is impressive, this year’s Queensland draft was perhaps the calm before the storm. 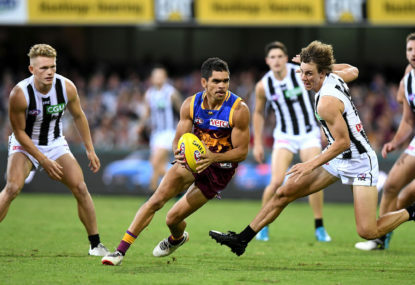 Most of Queensland’s best players in the U18 junior championships were bottom agers, and next year’s crop is going to be dazzling, leaving this year’s pickings comparatively slim. I’ll confess I’d never heard of Paige Parker before, but her highlights package on the Lions’ homepage is eye-opening, showing a next-level athlete who can run rings around most others. Her skills, however, still appear a work in progress. The Lions took Natalie Grider with their second pick — a solid defender who also plays midfield, and the 188 centimetre Lauren Bella with pick four, who should provide some much-needed support for Sharni Webb in the ruck. But it was pick three that should make the biggest difference for the Lions this year. McKenzie Dowrick is comfortably a top-five player in this year’s national draft, and possibly top-three. 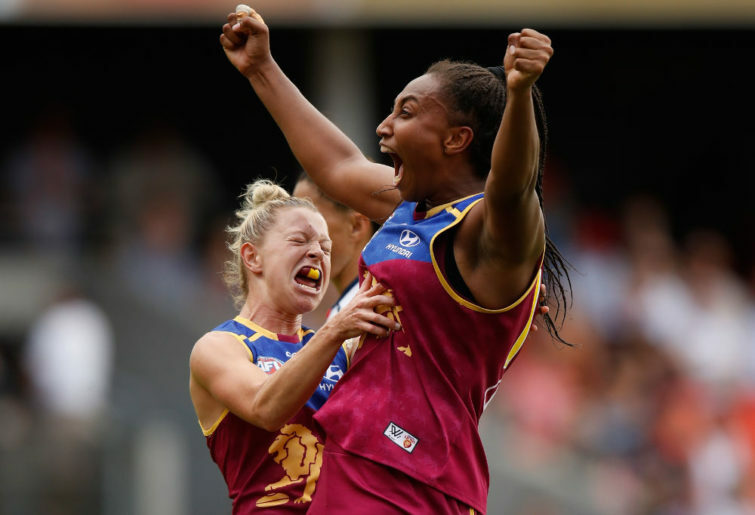 She’s at the Lions because her best mate growing up in the little Western Australian mining town of Kambalda was Lions defender Arianna Clarke. 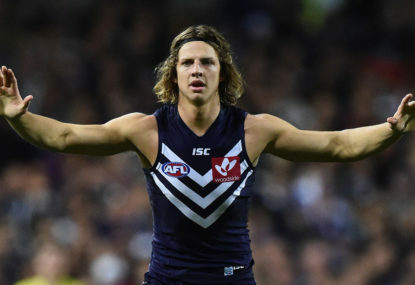 In her younger years, Dowrick obtained a special permission to play boys’ football in the U16s due to the lack of opportunities for girls in Kambalda. Watching her play, it’s not surprising she could manage it — she’s got a massive left boot, clean hands, and that unhurried, ‘all the time in the world’ way of playing that all the best players have. Whether the Lions choose to play her at half-back or on a wing, there’s no doubt she’ll have a big impact in her first season. But this question of positions illustrates the Lions’ other big problem — it seems that every second player in the team is a defender. Kate Lutkins, Sam Virgo and Leah Kaslar between them make a formidable defensive trio, and let’s say Arianna Clarke, Shannon Campbell and Paige Parker get a start also. Well Breanna Koenen and Megan Hunt are listed as defenders too, so is Nat Grider and new draftee Tori Groves-Little, while the only recognised forwards are Sabrina Frederick-Traub, Jess Weutschner and Bella Ayre. Sure, defenders can be turned into forwards, but it doesn’t always work. Midfielders can also go forward and kick goals, but this year the Lions are looking a little thin there also — Emma Zielke and Emily Bates are reliable A-grade mids, though still not quite the quality of the league’s biggest guns, and Ally Anderson made big strides last year as well. 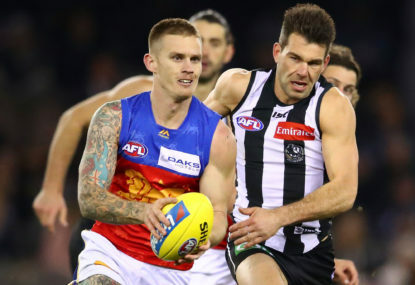 But without Jamie Stanton, the Lions’ midfield stocks have gone backward at a time when the rest of the league is going forward. Dowrick could make a difference, but for all her strengths, contested possession isn’t necessarily amongst them. This year the Lions still have a very good team, but many others have improved much more than they have. 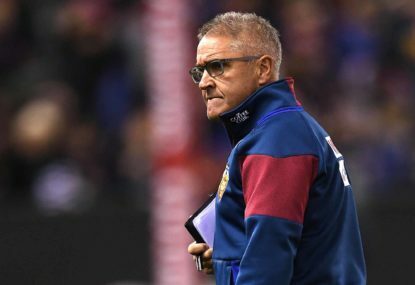 Next year a huge batch of young talent will emerge from the Queensland system, but Lions fans will likely have to endure the frustration of watching most of them head to the Gold Coast. 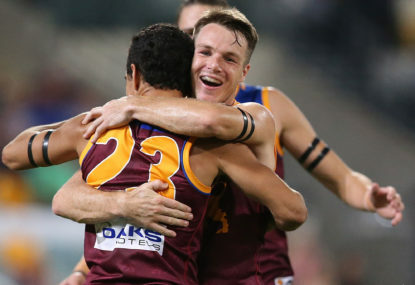 Possibly for the Brisbane Lions, their best chance of winning a premiership lies behind them.